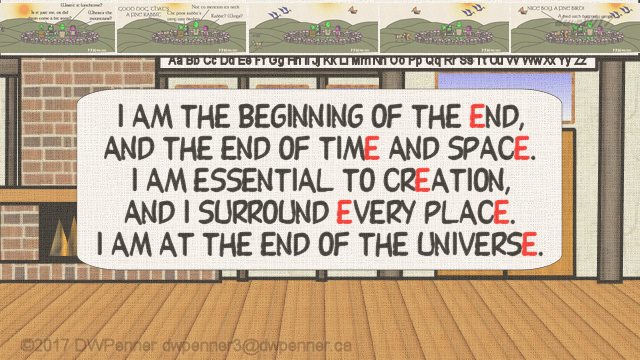 and the end of time and space. and I surround every place. 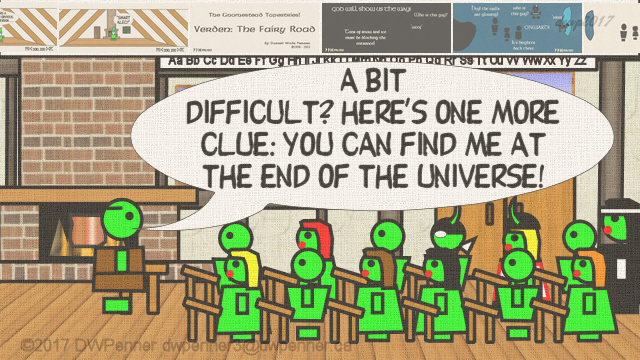 Clue: You can find me at the end of the Universe! 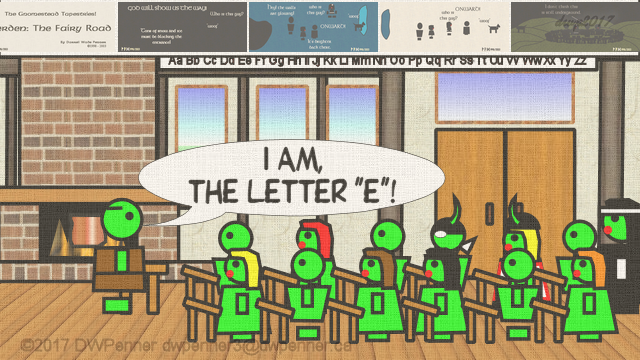 I am the letter “e”! 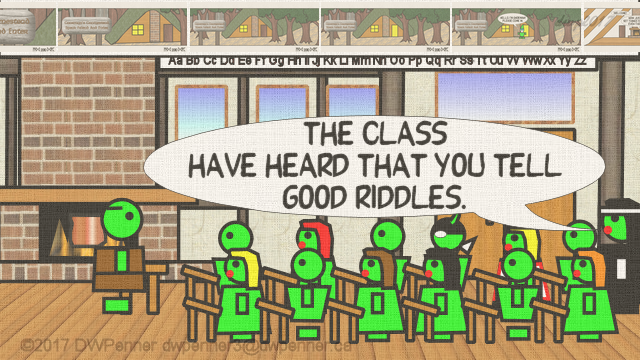 Hoping you enjoy the “Gnomestead Tapestry” School Daze riddle. Feel free to share it around! 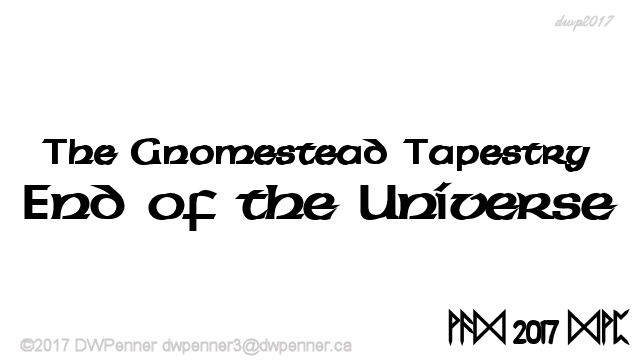 This entry was posted in Cartoon Strips, Gnomestead Tapestry, Jokes, Riddles, School Daze, Short and tagged Art, Cartoon, Cartoon Strip, children, classic riddle, Comic, Comic Strip, Darrell W Penner, DWP, DWPenner, enigma, fantastic, fantasy, Gnome, Gnome Tapestry, Gnomestead, Gnomestead Tapestries, Gnomestead Tapestry, Gnomestead Tapestry Short, Gnorman, kids, Literature, riddle, Solution, Tales, Tapestry, Tapistry by DWPenner. Bookmark the permalink.